Here’s how this artist describes himself: “Matt Doering is an Illustrator/Concept Artist based in Eugene, Oregon currently working as a Production Artist and UI Designer at Disney Interactive for mobile and social games. 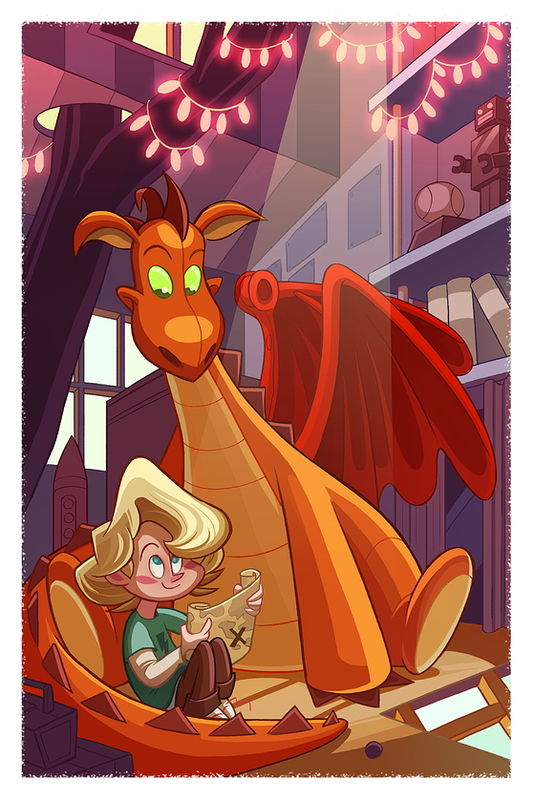 Matt also works as a freelance illustrator, most recently completing his first children’s book The Story of Magic Kringle, written and created by Alice Cosgrove.” His web site also has numerous examples of his character design work, as well as some of the animation he’s worked on. Of note: Matt did color design and visual development on The Girl and the Fox, an award-winner short animated film written and directed by Tyler J. Kupferer.